I recently purchased the Little Glam Bag pattern made by Pink Sand Beach Designs at a local quilt shop (Cranberry Quiltworks in Yorba Linda, CA) while on the Southern California Quilter's Run back in June. While on the shop hop I was looking for a bag pattern that was small enough to hold just what I needed for an upcoming quick trip: cell phone, chap-stick, cash and the necessary identification cards we all need. This bag was perfect. It used two fat quarters, a 1/4 yard of fusible fleece (enough to make three of four bags) and a seven inch zipper. I added a ribbon and a charm to "glam" it up. It took me about three hours to sew this bag up and when done I was very happy with the results. The optional wrist strap was the right addition as I was walking busy streets and wanted that added protection to prevent myself from dropping the bag or having it taken out of my hand. 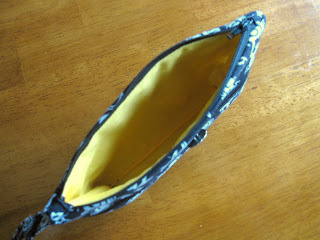 The bag finishes up at 81/2" wide and 5 1/4 tall - a perfect little glam bag size! It was so easy to carry around while on my short trip and now I have the added benefit of having a visual reminder of a wonderful time. 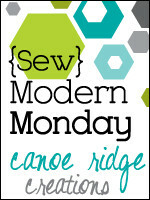 I'm linking up with Megan at Canoe Ridge Creations for Sew Modern Monday today and Quiltstory for Fabric Tuesday so go check out what other's have created - I've already peeked and there are some gorgeous creations to view! Cute bag Susan. I like Cranberry Quiltworks or Fresh Picked Fabrics. Gina is great. Cute bag! I like the ribbon and charm addition - they really set off the fabric well. 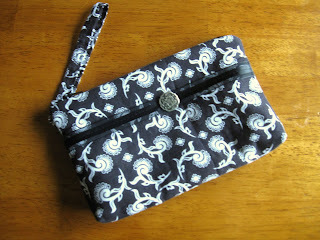 A girl can never have too many little pouches ~ LOVE this one! This is the perfect little bag. I love it when practical meets glamorous. This is fabulous! Very cute and so useful. What a lovely bag! 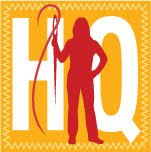 Found you via Quiltstory! Nice to 'meet' you!